It doesn`t seem two minutes ago that it was 32 degrees Celsius in the shade (90 degrees Fahrenheit for my older readers), hosepipe bans looked likely and it was simply too hot to sleep at night, yet early indications were, that as the temperatures soared, the Worthing property market appeared to be doing the reverse and was already starting to cool down. The average number of households who sold and moved locally between 2014 and 2017 in the winter and spring months was 187 homes a month. However, in the same time frame in 2018, only 135 (on average) sold and moved. Brexit seems to be the `go to excuse` for everything at the moment – my neighbour even blamed it for the potholes! Anyway, a few weeks ago I was at a wedding when one of the guests said that they were planning on buying their first home this autumn and most of those present said they were stupid to do so because of Brexit. Nonetheless, half an hour later, another guest said to the same crowd that they were planning to sell their home; to which most said they were also daft to do so because of Brexit. Both sides of the argument can`t be right! So, what exactly is happening? Well if you have been reading my blog on the Worthing property market over the last few months, I have been discussing the threats and opportunities of the current state of fluidity in the local property market, including the issue of OAPs staying in homes that are too big for them because their children have flown the nest, interest rates, inflation, lack of new homes being built and the long term attitude to homeownership. But I have noticed a new trend in the last few months - the emergence of the ‘sell to renter`. 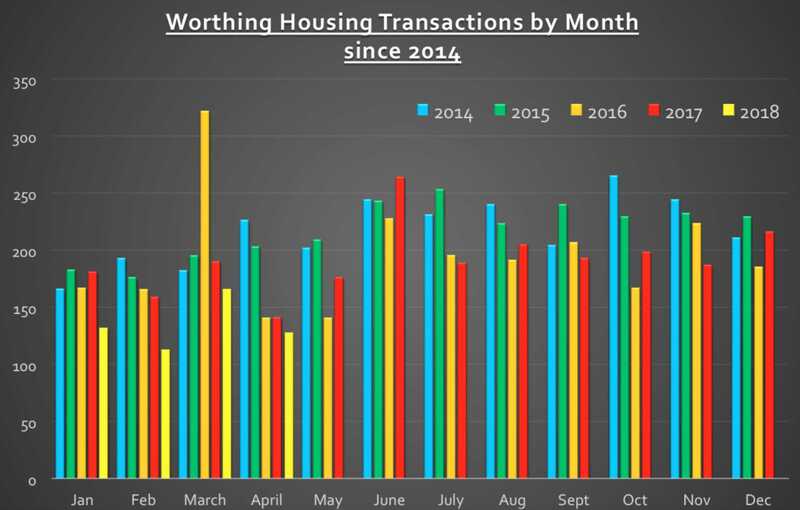 I have seen a subtle, yet noticeable, number of Worthing homeowners that have been selling their homes, moving into rented and wagering that in the next few years the property market will fall by more than what they spend on their short-term rental home, before they buy another home in a couple of years i.e. a ‘sell to renter`. This type of ‘sell to renter` is mostly predominant at the middle to upper end of the Worthing property market – so I`m not too sure if it will catch on in the main ‘core` market. So, what does this all mean for Worthing homeowners and Worthing Buy To Let landlords? Well, in the short term, demand for middle to upper market rental properties in Worthing could increase as these ‘sell to renters` demand such properties. I would however give a note of caution to Worthing landlords buying in this sector because yields in this sector can be quite low. However, for homeowners of middle to upper market properties in Worthing, you might have less people wanting to buy your type of property, as some buyers are turning to renting. Like I have always said, properties in Worthing are selling if they are realistically priced (realistic for the market – not a rose-tinted version where someone will pay 10% over the odds!). Remember - everyone has access to the market stats via the likes of Rightmove and Zoopla! P.S Notice the spike in the graph where the number of property sales jumped to 322 in the month of March 2016? That was all the Worthing buy to let landlords snapping up buy to let properties before the stamp duty rules changed!